Story /ˈstɔːri/ - connected account or narration of some happening. From Old French estorie, estoire "story, chronicle, history". A need to tell and hear stories has been identified as essential to humanlife from as far back as language and communication began. Oral traditions and ancient texts and images show human life as narratively rooted with humans constructing and shaping their world in terms of these stories and memories. Stories connect us with soul, and teach people about spirit and their connection to the mystery and sacredness of life. "If you listen carefully, at the end you will be someone else." 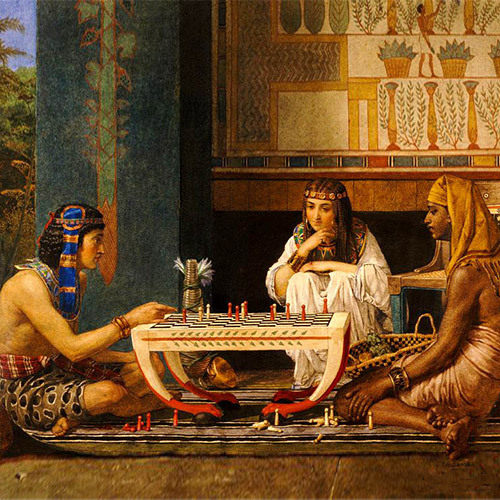 Story, ritual and the spoken word held great power and meaning to the ancient Egyptians. 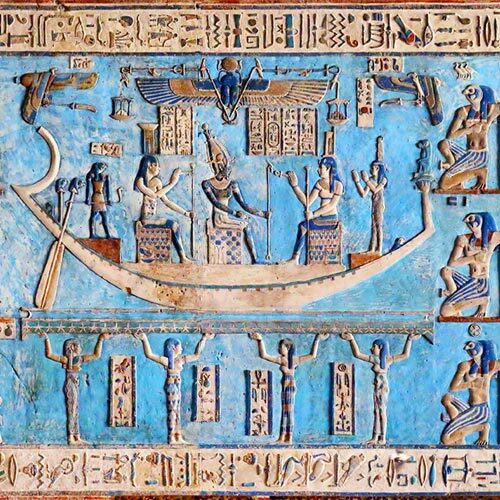 Every aspect of life in ancient Egypt was informed by the stories which related the creation of the world and the sustaining of that world by the goddesses and gods. 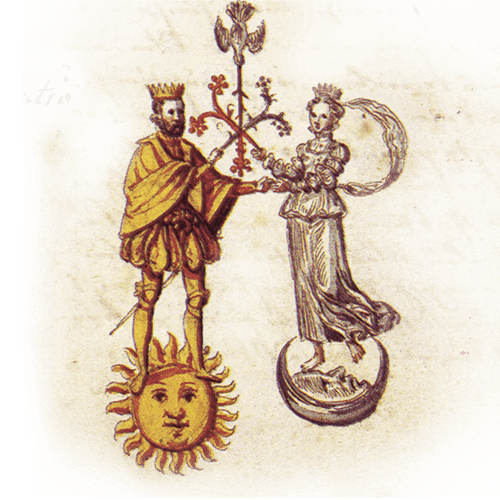 Storytelling in both oral and written form was a magical act that linked the macrocosm with the microcosm: 'as above so below'. The everyday lives of people were intimately connected with the goddesses and gods and there was no separation between self and the cosmos. Their hieroglyphic script was referred to as 'the sacred letters' or the 'words of the gods'. 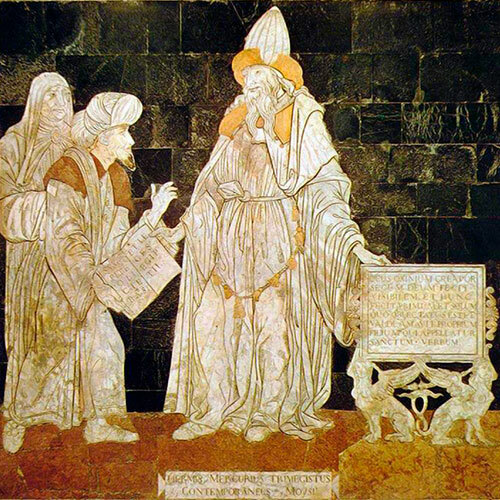 They wove complex cosmological knowledge into narratives that expressed both physical and metaphysical concepts. Those who told the stories, the storytellers, were known to be maa kheru - true of voice. "Therefore am I called Thrice Greatest Hermes, having all three parts of the wisdom of the Whole Universe"
Thoth (Tehuti) or Hermes as he was known to the ancient Greeks, was the Egyptian god of magic and writing, variously titiled 'The Voice of Ra' who evokes the spark of Creation, 'The Lord of Divine Scripture' and 'Scribe of the Company of the Gods'. 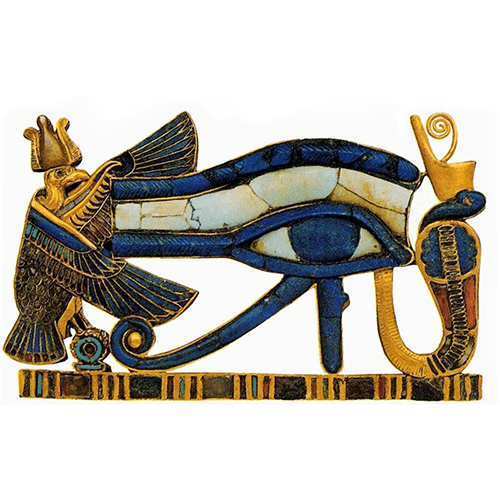 Thoth was also the patron of all areas of knowledge, credited with the invention of writing and alphabets themselves and said to have commanded magic and secrets unknown to even the other gods. The ancient Egyptians understood the ability to work with heavenly powers and create change according to the wishes of the magician, depended much upon the use of words. 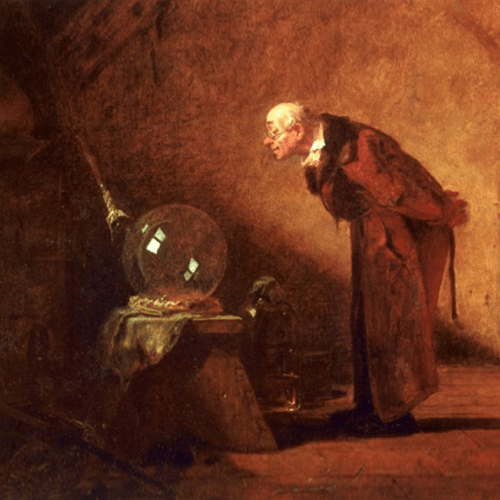 Words as expressions of will had magical and ritual application. Spoken in ritual, they were connected with one's vital breath and the knowing use of it. Thoth, as Master of Hu 'creative utterance', taught these words-of-power to the magicians of ancient Egypt and how to voice them. The Egyptian stories of Isis and Osiris, the battles of Horus and Set, fantastic Greek myth and grand far eastern sagas all portray epic stories of struggle and the overcoming of great odds to emerge victorious and transformed. Storytelling calls in the powers it is talking about or describing and has the potential to create subtle but extraordinary change in those who listen or follow the story. Storytelling is a very healing and transformative process that re-awakens a sense of awe and wonder with life. The power to capture and take you on your own journey of self transformation as the hero or heroine of the the story reconnects you with the eternal journey of your soul. Storytelling reunites the inner and outer worlds putting you back in touch with your inner self and the mystery of being alive. Moving from an old story to a new story life is an empowering process that puts you in an active role in the game of life. 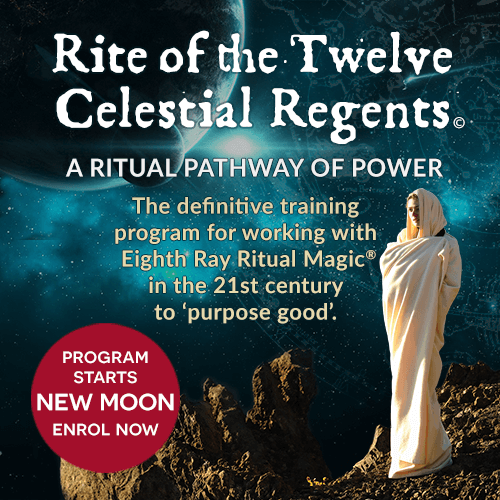 When you work with the power of the heavens you can start to play the game of life more fully and make moves on the living gameboard to create dynamic, positive change in your life. 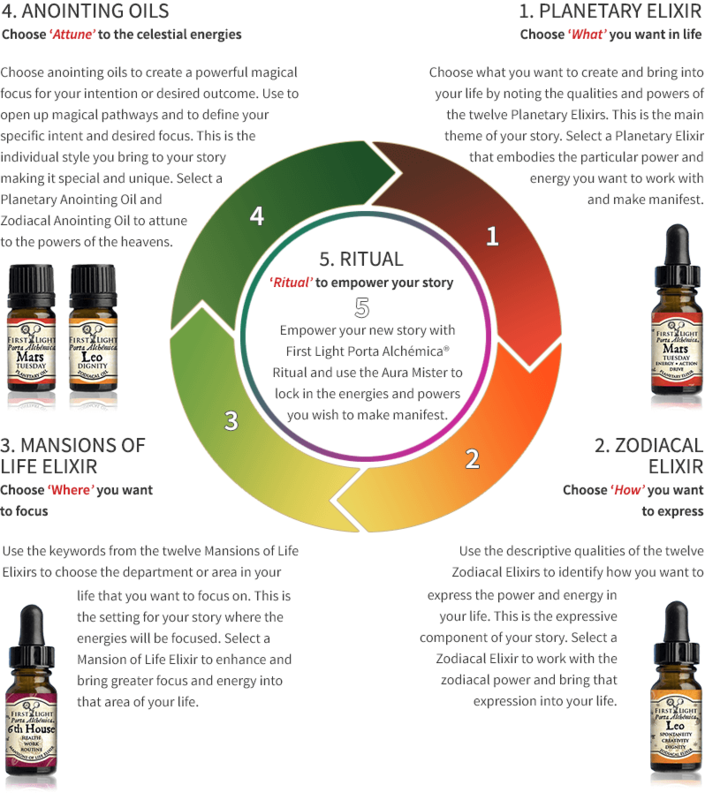 Creating a new story with First Light Porta Alchémica® is an opportunity to step forward and take charge of your life by working with the powers of ritual, plants, planets and the stars. It is an opportunity to move out of a passive role and into a new empowered position to co-create with the universe and actively transform and enhance the life you live.